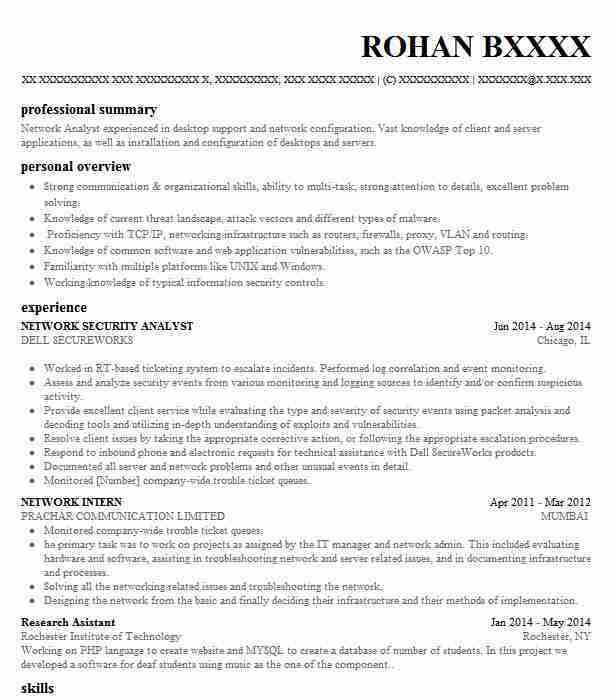 Experienced Network Security Analyst who is extremely proficient at finding weaknesses in even the strongest networks. Adept at utilizing network monitoring tools isolating network security deficiencies and creating comprehensive reports of network issues. Specializes in security trend reporting and scalable network protection. Responsible for submitting all monthly error logs and virus removals to management. Worked across several legacy platforms to detect significant network issues and breaches. Created models of what could happen if certain parts of a network were compromised. 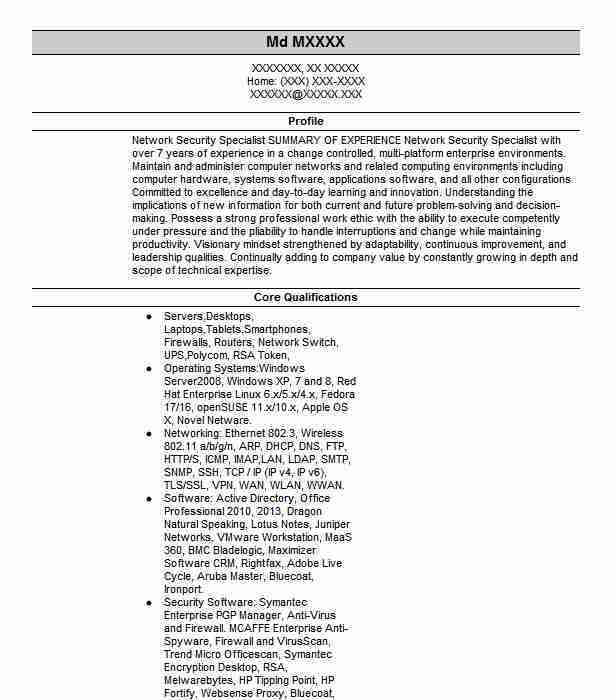 Was part of a team created to develop and update ongoing security measures for a growing network. Responsible for analysis and projections dealing with adding an Internet port to the network. Helped to develop security protocols when the network was being outfitted for remote access. Regularly trained network users on best ways to prevent security breaches. 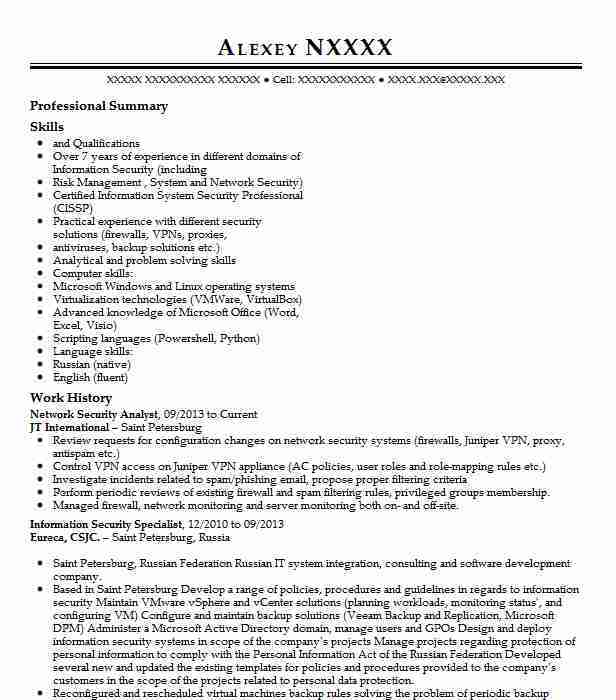 Responsible for monthly report on all network security issues and their resolutions. 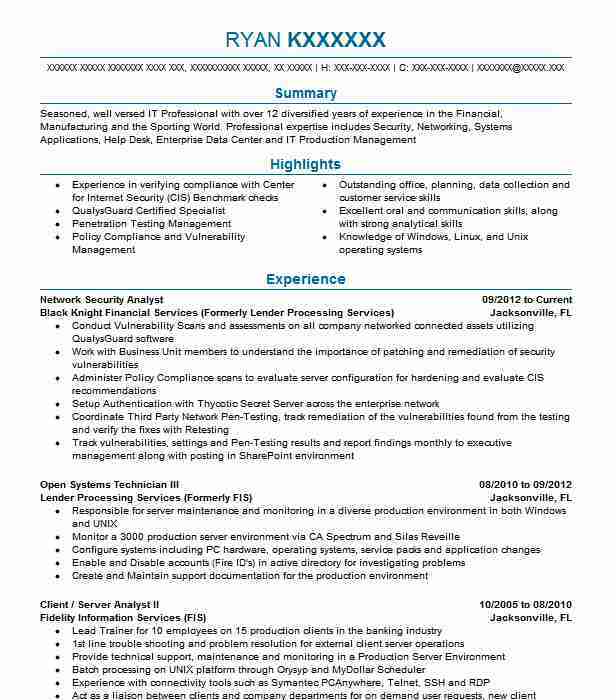 There are plenty of opportunities to land a Network Security Analyst job position, but it won’t just be handed to you. 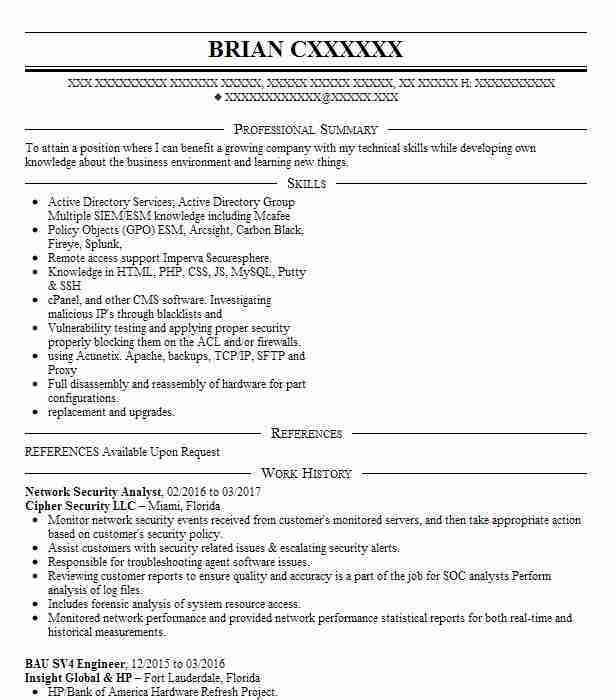 Crafting a Network Security Analyst resume that catches the attention of hiring managers is paramount to getting the job, and LiveCareer is here to help you stand out from the competition.